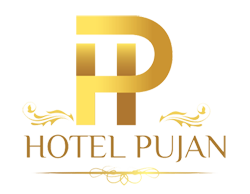 Birgunj – Hotel Pujan Pvt. 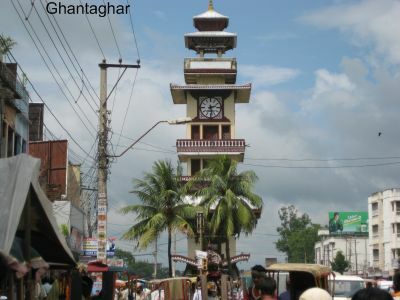 Ltd.
Birgunj, the second largest city in Nepal, is the hub of trading and commercial activities. The city has unique sightseeing experiences in store for the visitors. The humble folks and farmers provide the tourists a chance to acquaint themselves with the way of Terai (low altitude, flat land) life of Nepal. 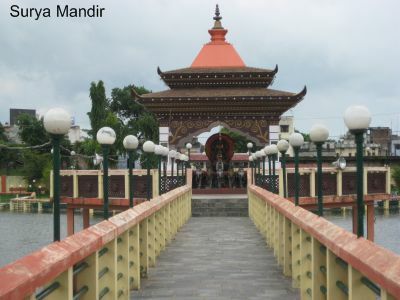 It is situated about 3 KM from the Indian northern border Raxaul. It is the main entry point to Nepal from India through road transport. Majority of all the foreign goods shipped to Nepal by sea go through Calcutta (Haldia Port) to Raxaul to Birgunj then reach to main cities like Kathmandu. Hence, Birgunj is an important land entry point for goods to Nepal. Take a look of the famous Shankaracharya gate which, literally, can be termed as Gate way of Nepal. 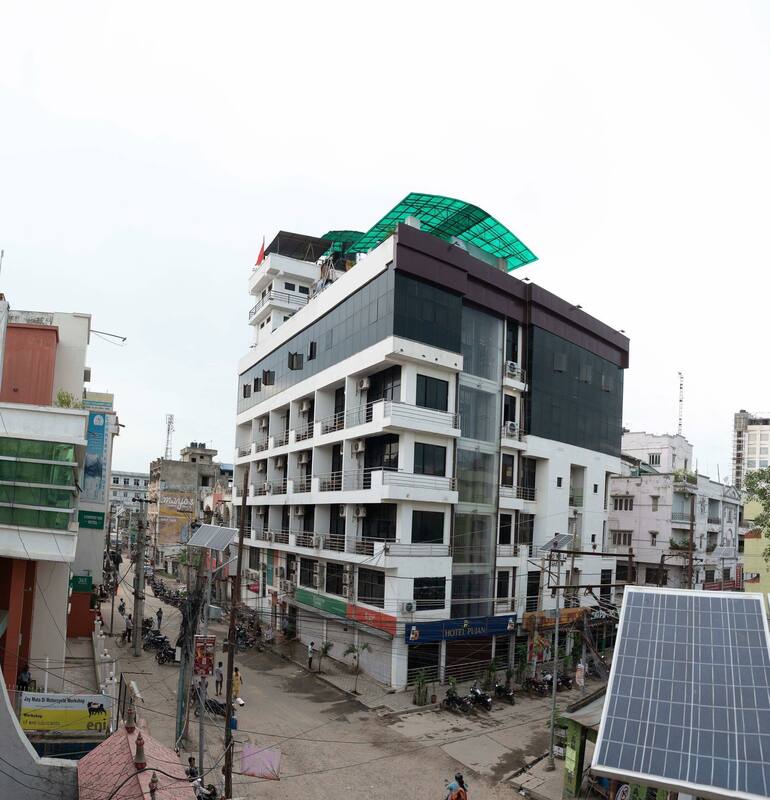 The population of Birgunj is about three hundred thousand (300,000). Many multi lingual and multi ethnic groups can be found in this city. The city is simply taken as a stop-over place for travelers, businessmen and pilgrims going to other destinations in Nepal as well as India. In the northwest part of Birgunj, Town Hall or City Hall has been uniquely built. It’s architecture combines the traditional Nepalese temple design, with those of a modern civic utility. 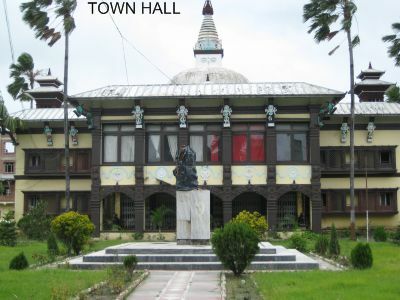 Below is an image of Town Hall , which was built in the year 1975-76. 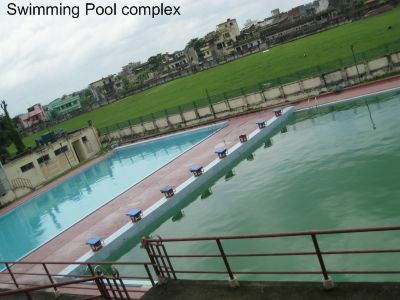 In the vicinity, one can find the swimming pool complex, which is of International standards, along with a play ground. 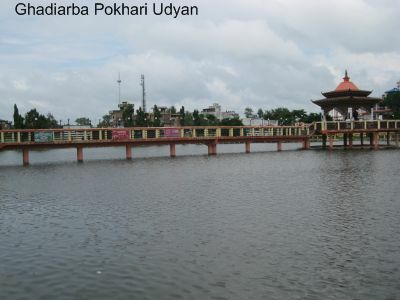 Nearby is a large pond (pokhari), popularly known as Ghadiarba Pokhari Udyan, with a walkway leading to a hindu temple (Surya Mandir) in the middle. The main attraction of this place is beautiful musical fountain, boat-ride, green belt, walkway etc. In the out-skirts of the city, one can find the Vishwa Buddha Bihar. The term vishwa is derived from the word vicchu-wa which is translated as a resting place for vicchu(s) or Buddhist monks. The term vishwa thus means a resting place. 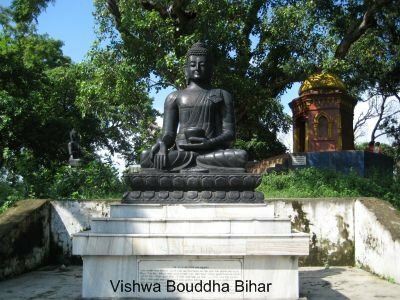 In the ancient times the pilgrims stopped at Birgunj in the midst of their journey between Lumbini and Bodh Gaya (India). Vishwa is actually shaped like a stupa and has engravings of Lord Buddha facing the cardinal directions of the universe. This place has a tranquil ambiance and it attracts those tourists who want to flee the bustling life of the city. 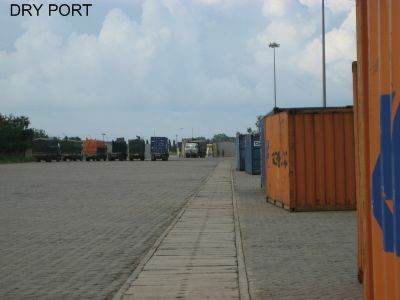 Landlocked Nepal’s ‘only’ rail-connected Inland Clearance Depot (ICD) at Sirsiya (Birgunj) became fully operational during 2005, as a result of an agreement reached with India on rail access. The rail link is a 5.4 km long spur from the border town of Raxaul. It is a multicultural city where Hindus, Muslims, Sikhs, Buddhists and other ethnic communities live together in peace and harmony. Hindus and Muslims constitute the major portion of its population. It is a multilingual city, the residents of which speak Nepali, Bhojpuri, Hindi, Urdu, English, Newari and other local dialects. Places of worship like temples and mosques can be found at short distances in the city. Apart from the Indian railway, this city has good links of roads by which all the Indian Metropolitan cities have become quite accessible. Simra is the nearest Airport from where one can fly and arrive Kathmandu in about 15 minutes. Likewise, Morning, Day and Night bus services are readily available to and from Kathmandu. As for the climate, it is temperate with 8 c. lowest in the winter and 37 c. highest in the summer and the average rain fall registered during the rainy season is 80mm. Nice hotels and shopping centers can be found in the city. Royal Chitwan National Park is about 4 hrs. drive from here where one can go to enjoy the wildlife of Nepal.